Charlie Lim is on the cusp of the inevitable. This time tomorrow, he will be standing centrestage at a performance that he avers is career-defining and singular. This moment will never happen again. Even for an artist whose essence has always been forged in the highest of stakes, he’s about to take things even higher. In October this year, the Singaporean musician released CHECK-HOOK, a self-correcting electronically minded album that deliberately pushed against the lushly guitar-forward and name-making prior release TIME / SPACE. He called it an “ode to overthinking” – but it’s also the creative impulse manifested as a sledgehammer, clearing room for new forms, for a new way of doing and being. In tipping his hat to the mores of dance music, he demonstrated what would happen if he sipped from the fount antithetical to his earlier discipline and emerged anew. Recently, Bandwagon sat down for a chat with the multi-hyphenate auteur for a session of question-and-answer, but, more importantly, reflection and appraisal. Read it below. CHECK-HOOK is out in the world now. In this singles-heavy climate, what made you want to release an album? Some people would argue that my album is an EP but I like to think of it as an album because it's a body of work that has a narrative that you can listen to from start to finish. I’ve already done an EP before and I felt that I should follow-up with something that complements TIME / SPACE, maybe at the expense of not having the same amount of traction per song. Obviously, we could have released song-by-song but I feel that they weren’t that strong by themselves as singles and they're not bangers, either. If you were to approach it from a single's perspective and not have to worry about the concept of the album from start to finish, it's easier. So I definitely went into this with an album in mind. I still like the form and totality of it. As CHECK-HOOK came together, did you ever anticipate how people would feel about how different it is from its predecessor? There's always going to be that anxiety but I think you just have to trust yourself. If fans like you for your music and you as an artist, they will trust you, regardless. As long as you put in the same amount of love and attention to detail, then I don't think there’s going to be an issue. I feel that if I did put out something really similar to TIME / SPACE, I would get bored and it wouldn't sound good. I feel that I would be pandering. I don't want it to be controversial for the sake of being controversial, too. I feel that if I do too much of the same thing, I'll be milking the sentiment that's already been said and done. It wouldn't feel honest and fresh to me. I needed to push myself and come up with something new. Not to say that I wouldn't return to the singer-songwriter format, because at the end of the day, that's who I am. I identify myself very strongly with that. But I felt that I needed to pivot just for a bit and see how my approach to songwriting can live in a different sphere for a while. And to be honest, a lot of the songs that are on this album, can be stripped down and played with an acoustic guitar. But I do like the juxtaposition of dance music with how I approach writing songs. Did you feel that, for this project, your relationship to your primary instrument, the guitar, has changed? I definitely got bored of the guitar. Once you've been playing the same thing over and over again, even if you're messing around with different tunings, after a while it just becomes muscle memory. I needed to get out of that box. That being said, I did write a bunch of things on guitar before this record. The writing process was different. Not just the fact that I wrote it on a lot of keys and the computer, I worked with two friends of mine. They did contribute to the last record but for CHECK-HOOK, they worked on it more extensively as producers. How different was it this time round? Similar to writing with a band. At the end of the day, with the lyrics and melody and the songs are structured, I still have to lay down the law. But when it came to picking sounds or sampling, I played most of the instruments on this record but they would be treated differently by the producers. There was a back-and-forth. So, in terms of input and taste, just having them on board was great. I likened them to be a good rhythm section. They took charge of a lot of the rhythmic aspects of it while I came up with the harmony and melody and the overall shape of the songs. Why did you want to include rap into this project? It was the last thing that I thought would include in my materials. Having Fariz Jabba and Yung Raja came very naturally. I found them from 16 Baris and I was blown away. I thought, ‘These kids are of a different calibre’. You can't really find anyone who has that sense of time-feel. They've nailed it. You can tell they've really studied their favourite rappers and the technique is there. The understanding of time is there. I was very drawn to that. You've said that album is an ode to overthinking. What would you say is the most easily observable manifestation of that in day-to-day life? Social media, I guess? You see that all the time. We're so conscious about what we put out there. The exchanges, the opinions and how things are so polarised. Everyone is taking their stand on everything. There's a lot of weight of it right now. Maybe, it's just information overload. We're just not meant to process this much at once. I think if you recognise it as a game and you can step away from it, that's good. Not having your work define you as a person. Because you're not going to get good results all the time no matter how hard you try. I had to learn that the hard way... I'm still learning all the time. You do it because of the love for the game. And if you can step away from it and try to balance your life with other things, I think that's probably the solution to all this. That was my takeaway from the last couple of years. Figuring out this whole music thing. Where does your National Day performance rank in the milestones of your life? I don't know. I can separate the performance itself on National Day with writing the song. I think writing the song was a lot more meaningful. The appearance and the performance, to me — it might have attracted the wrong crowd but it opened quite a few doors as well. More importantly, I wouldn’t have written for the theme if it didn’t matter to me. I felt like I had something to contribute. I wouldn't have done it if I didn't mean it. But I had something to contribute and something to say and it was the right time and the right people to do it with. So I'm definitely very proud of it. I hope we can get the music out there. I want to keep writing and touring as much as possible. I want to keep going higher and higher but at the same time, to enjoy the process without going insane. Being balanced and staying healthy is very important and very underrated. I don't glamourise and romanticise the whole tortured artist or the mad genius cliche. I think it's just not sustainable. 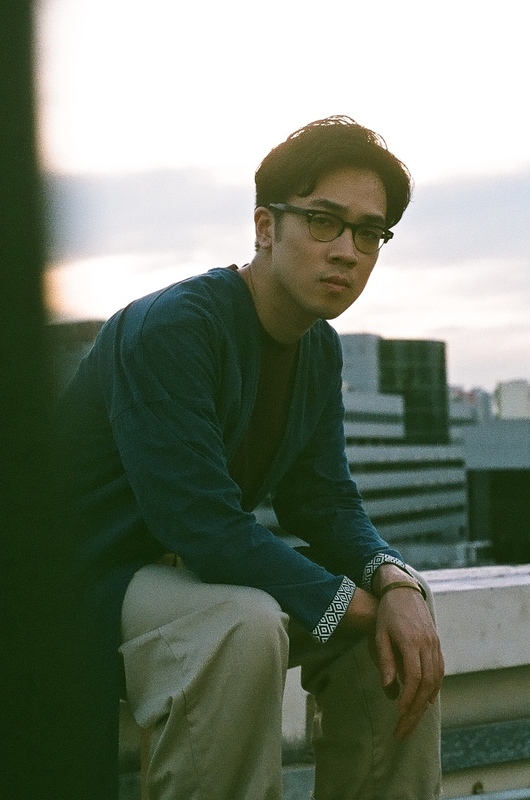 Charlie Lim will perfrom at the Star Theatre on 7 December 2018. Tickets, $88, $68 and $58, are available here.